Restaurant style Mexican rice that is easy to make and tastes even better than the restaurant! 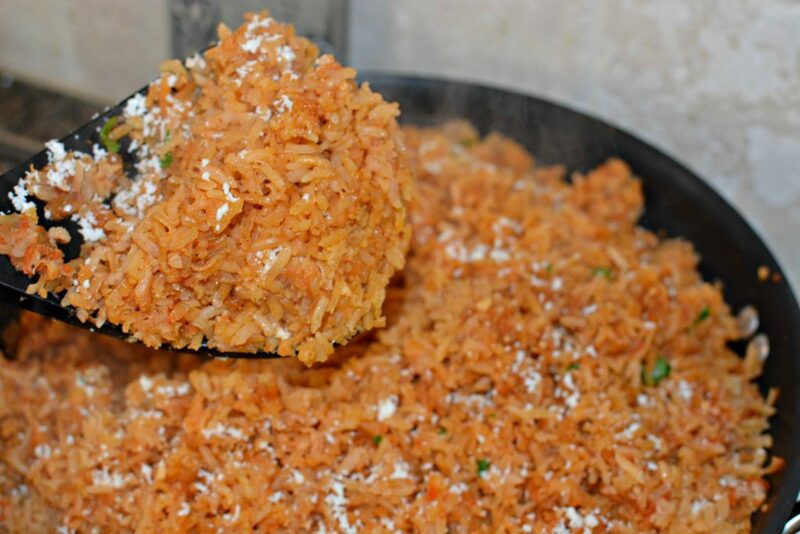 Pairs perfectly with any Mexican dish, you’ll definitely be going back for seconds! My hubby and I are big fans of Mexican food. We probably eat it at least two times a week, if not more. Most of the time when we go out to eat, we end up at a Mexican restaurant. There’s just something about the chips and salsa, margaritas (haha), and yummy meal choices! I am obsessed with flautas, tacos, enchiladas, etc. but the real test at how yummy a Mexican restaurant is, is their rice and beans! 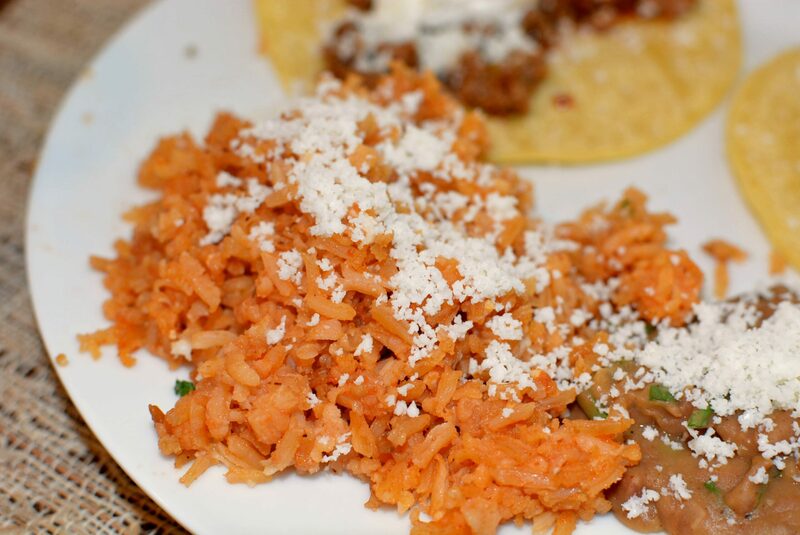 You can have an amazing taco, but if the rice and beans are “eh”, it is quite the bummer! After coming home one evening from trying a new restaurant out and not liking their rice, I decided to attempt making my own. My first attempt was AWFUL. And by awful, I mean disgusting. Not even edible. The rice was wayyyyyy over cooked, lacked any type of flavor, and honestly, I have no idea how I went so wrong. 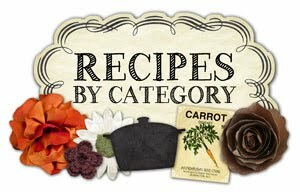 I was hesitant to try again, but a few weeks later, after looking through books and recipes for inspiration, I decided to try again. Now THIS recipe is a definite winner. It was quick to prepare, paired perfectly with our tacos, and my kids scraped their plates. It makes lots, so prepare for leftovers. It stores perfectly, is budget friendly, and kid approved! 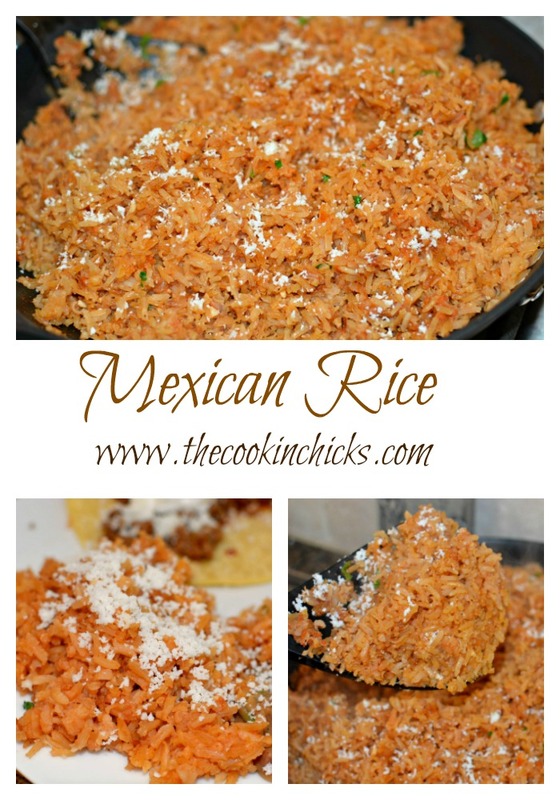 Next Taco Tuesday, whip this up with some refried beans and bring the restaurant to your home! 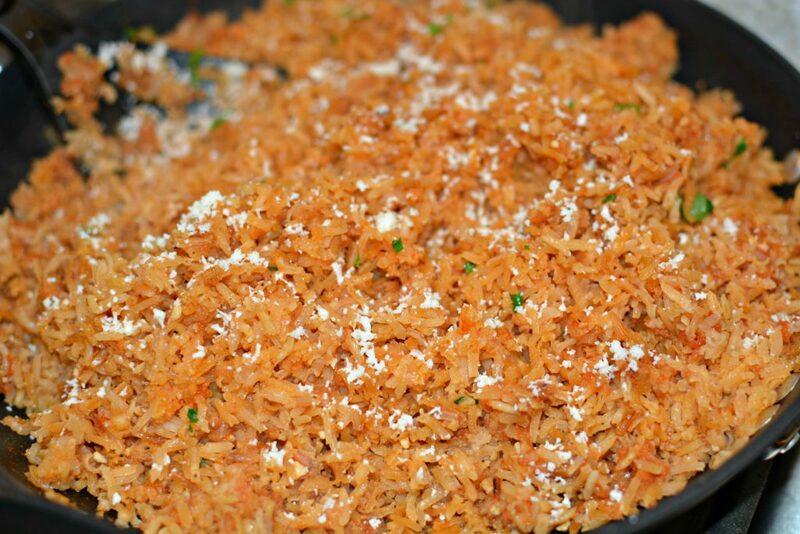 Restuarant Style Mexican rice that is budget friendly, easy to prepare, family approved, and tastes just like the restuarant, if not better!! In a large frying pan, heat the oil over medium high heat. 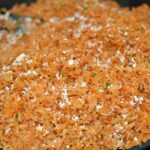 Add in the rice and cook until golden brown. Add in the chicken broth, tomato sauce, salt, garlic, cumin, and black pepper. Stir to incorporate all and cover pan with lid. Reduce heat to medium low and allow to simmer for about 35-40 minutes, or until all liquid has been absorbed. Just want to clarify —- are you cooking the rice first and then frying it??? Laurie She is toasting the rice (uncooked) in oil, then it is absorbing the liquids added afterwards to cook/soften it. Question: At what point do you put in the cilantro? Sorry about the delayed response, nope, no need to cook rice prior to frying it. You are toasting it to get the color, then adding the liquids to cook/soften! Yep! Thanks for answering Laurie, for some reason I didn’t get notification of any comments until now! Thanks!! Oops, sorry about forgetting that step! 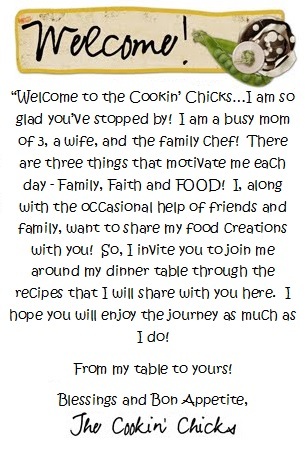 I have corrected the recipe now, but you add it in at the end, right before serving! Enjoy! !